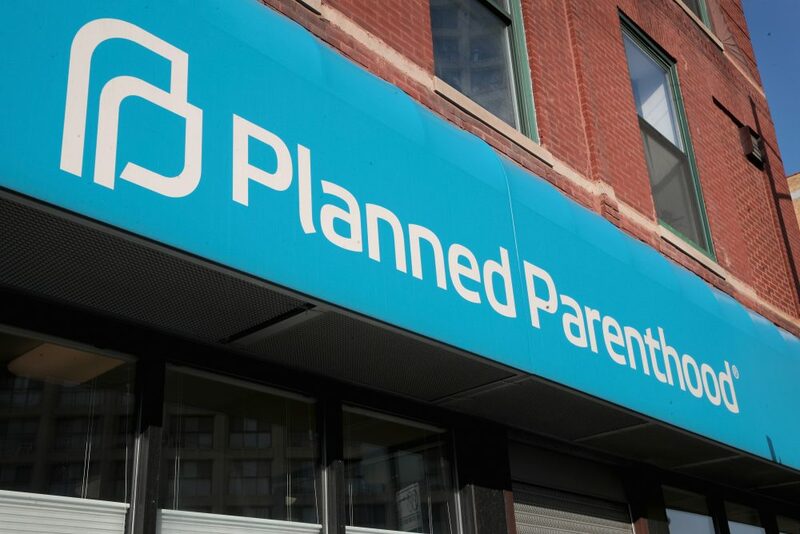 It is universally acknowledged among pro-lifers that Planned Parenthood is an abortion corporation that should not be supported nor funded through taxpayer dollars. But how many pro-lifers can say that they have actually been to a Planned Parenthood, with the intention of having an abortion? Sadly, I have experienced this first hand, and by sharing my story today I hope that I can prove once and for all that Planned Parenthood is not about “women’s rights” or “healthcare,” it’s about profiting from ending lives prematurely. It all began in November of 2017. I was in my junior year of college and had just discovered that I was pregnant. I was a resident advisor, taking 15 credit hours, and working a part-time job. I was preparing for graduation and applying to graduate school. A baby was honestly the last thing on my mind. “Just get an abortion,” my friends told me. “You don’t want this one mistake to derail your entire life.” Living in a pro-choice society led me to believe that my baby really was just a clump of cells. With no one encouraging me to continue with my pregnancy, I called Planned Parenthood to schedule my appointment, figuring that it was the best solution for my current situation. I went into the clinic the following day, and was told to sit down and fill out some paperwork. The clinic itself was clean and brightly lit; encouraging plaques were on the wall that said, “I make my own destiny,” and “ This does not define you.” The emotion in the room, however, was something entirely different. Though I was accompanied to the clinic with my boyfriend, many women sat in that waiting room alone. I saw one girl who could not have been more than 15 years old, silently crying as she filled out paperwork. Her mother sat next to her, stony faced and staring straight ahead. I saw another woman with marks on her arms and neck, foundation poorly covering over what the man sitting next to her had clearly given her. Finally I saw two women who were sitting next to each other laughing as they filled out the paperwork. They were talking about getting manicures after their appointments and “making a day of it.” Though we each came from different walks of life, I couldn’t help but feel connected to each of these women, in the worst way possible. My name was called after about an hour, and both my boyfriend and I stood up to walk inside. “No,” the nurse said, “he has to wait here, and you have to leave your cell phone and any other recording devices with him.” I couldn’t believe it. Here I was, about to go through a very traumatic experience, and not only was I forced to go through it alone, I couldn’t even have my cell phone with me to use as a distraction or to text my boyfriend. Just wanting the entire nightmarish experience over with, I silently handed my cell phone over to my boyfriend and followed the nurse into the back. Once I was in the back I was told to sign paperwork stating that I had come there of my own free will and that no one was forcing me to have an abortion. I couldn’t help but think of the young girl and the woman in the waiting room who had clearly been abused by her boyfriend. It hadn’t seemed as if they were there of their own free will, and yet these nurses were doing nothing to help them. I dumbly signed my name on the dotted line and followed the nurse into the examination room. I left Planned Parenthood in tears that day. My boyfriend consoled me, and told me that he would support whatever I decided to do. The following week I went to an actual hospital, and received proper prenatal care. My beautiful baby girl showed up on the ultrasound screen that day, no bigger than a pea. She was not an ectopic pregnancy at all; she had simply been hiding from the evil abortion doctor that day. Nine months later I gave birth to beautiful and healthy Noelle. She is perfect and I am so thankful for every moment that I get to spend with her. Sharing this story is not easy, as I still feel guilty for ever even thinking that I could get an abortion. However, I had decided to share my story today so that others can finally know the truth. Planned Parenthood is not about women’s rights, or about reproductive rights. It only has one bottom line, to make a profit. And they make that profit by attempting to exploit young girls like me and by trying to perform as many abortions as possible. Say yes to life and no to the abortion corporation. Say no to Planned Parenthood.